French Pantry bread, organic produce, local Mayport shrimp, and other really delicious ingredients set our brand new fall menu apart! There's something for every type of eater on our menu and we couldn't be more excited for you to find your new favorite flavor combinations. 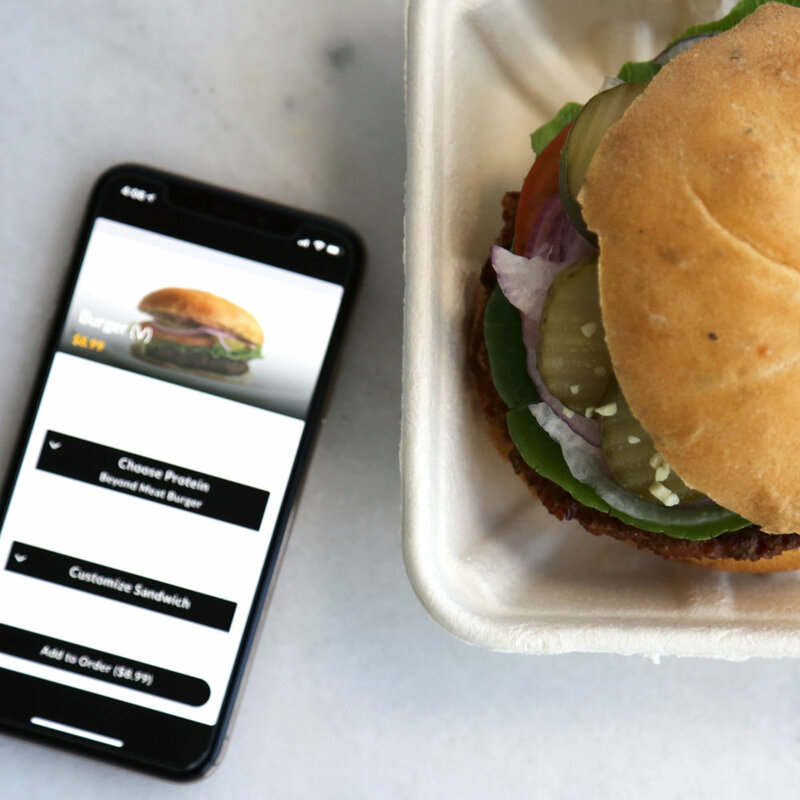 Plus, our online ordering app makes it easier than ever to get the foods you crave without the wait. Our street-style tacos are made with ultra-fresh ingredients. Take your pick of Mayport Shrimp, our house-made blackened chicken, or spice roasted cauliflower. No matter what you go with, the house-made southwest ranch brings all the flavors together; it's a blend of cilantro, lime, cumin, and green onion that goes great with the organic, shredded red cabbage and fresh pico de gallo. We finish each taco with pickled red onions and a few sprigs of cilantro. Our salads start with organic produce, and from there, we expand into a variety of delicious flavor profiles that will have you excited about eating your veggies! House-made dressings make all the difference, especially when paired with incredible ingredients like teriyaki-glazed tempeh, quinoa tabouli, aged bleu cheese, avocado, edamame, pickled red onions, and more! Like to eat to the beat of your own drum? Create your own salad with organic greens and toppings of your choice! We're super proud of our sandwiches; from plant-based fare featuring teriyaki-glazed tempeh or curried tofu, to more carnivorous options made with grass-fed beef or house-made blackened chicken, there's something for everyone to enjoy. We can't wait for you to try the balsamic onion jam that takes our Grilled Chicken sandwich to the next level! MORE ON THE NEW MENU HERE! Full-plate at work? Let us worry about lunch! Download our app or visit our website to order online and beat the rush. We're pumped about our new burger featuring Beyond Meat, but we still have lots of love for our beet-based veggie burger and want to share the recipe with you so that you can make it at home! Our Caribbean Tempeh wrap is no longer a feature on our menu, so we're sharing the recipe. Make it at home and you can be on island time, anytime. Caribbean Tempeh Wrap Recipe here!